We had planned the visit of Istanbul for some time, but finally in November we managed to create a small group of 5 friends, out of which one is of Turkish origin and knows Istanbul very well. Thanks to him we had a wonderful time in this city. So we got the plane tickets and prepared to see this extraordinary city where the West meets the East. Due to the fact that I am used to the Turkish environment from Brussels, I didn’t have that exotic impressions. 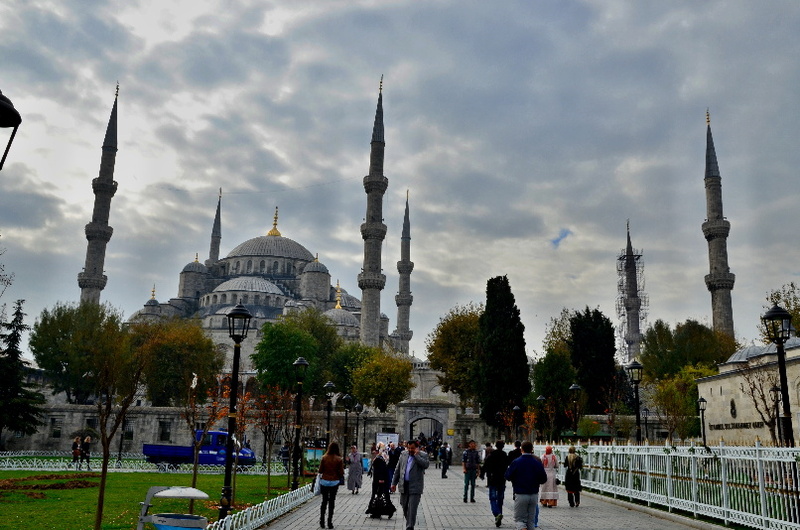 But the atmosphere in Istanbul is full of pure Arab culture, architecture and people are nicer than in Brussels. 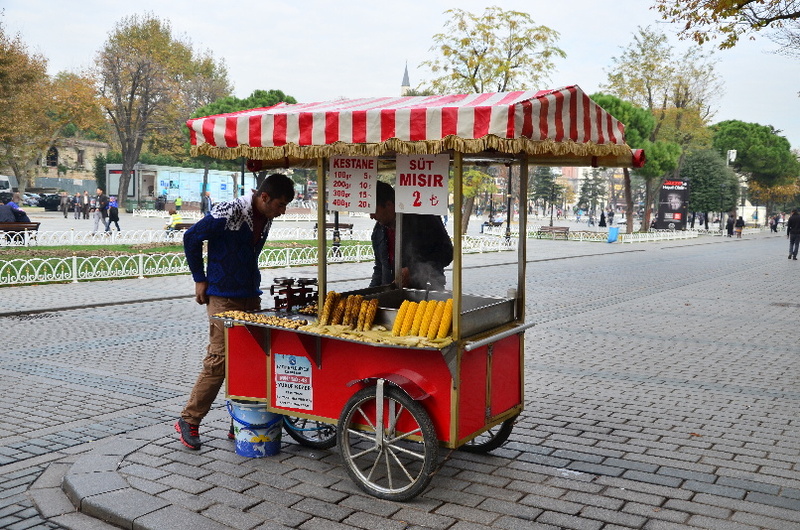 We stayed close to the Taksim Square. 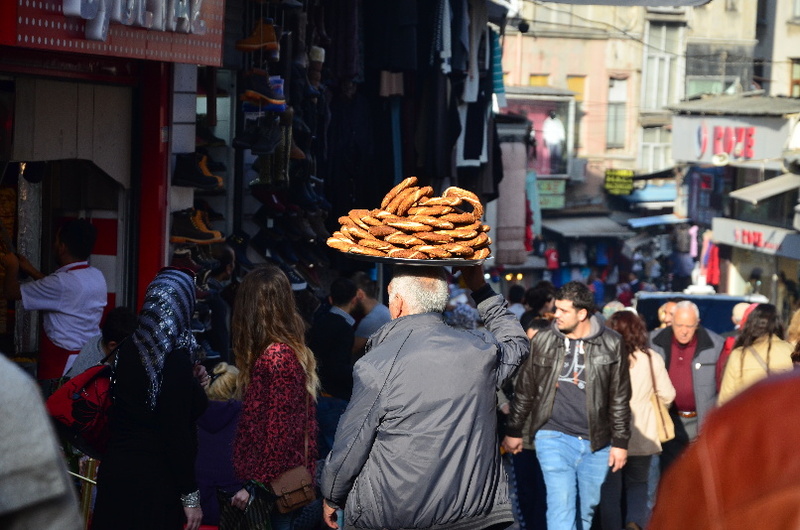 This is fine enough for vising the alive center of Istanbul, but in order to get to the Old Town (where the majority of sights are), I would recommend you to take a taxi – if you are more than 2, as it is cheaper than the metro or tram. If you want to try the metro, be aware that you need another single ticket for every transfer. So the more you transfer, the more you pay. 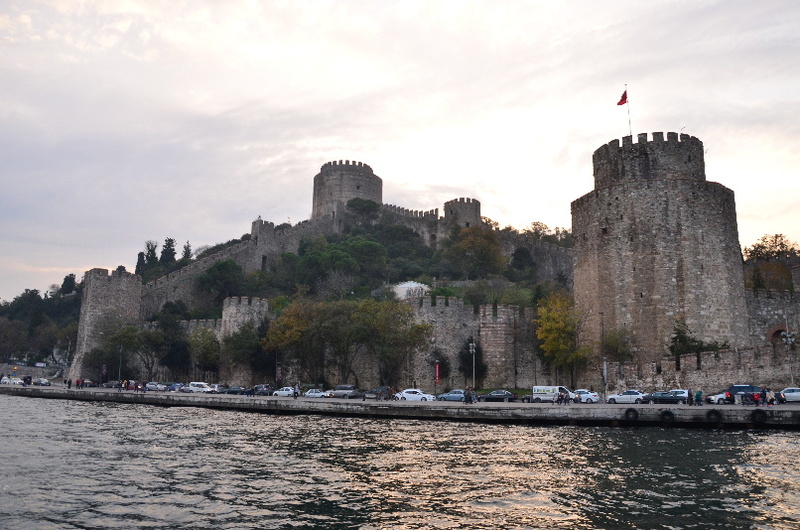 The weather was fine for a November escape, around 15-17 degrees C, but in the evening already fresh and windy, especially close to the Bosporus. 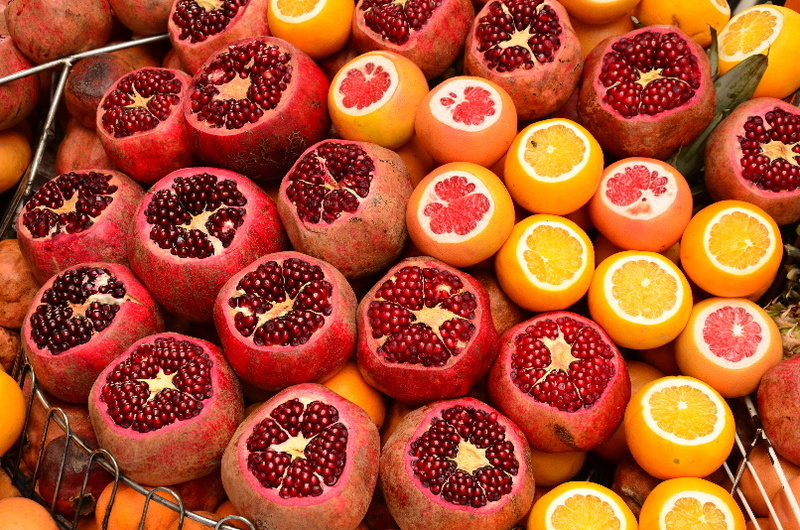 The food in Turkey is colorful, healthy and delicious! 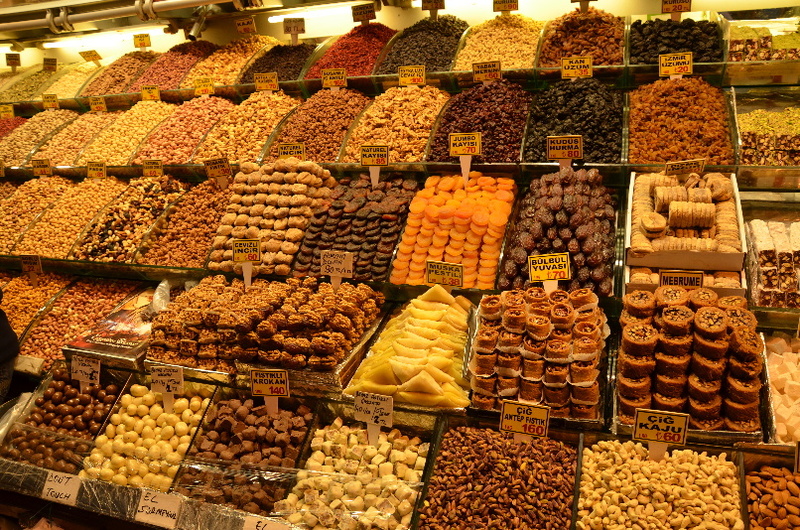 It is a paradise for vegetarians too – everywhere you have lots of veggies. Besides they are not boring – I tried eggplant many times prepared differently and every time I really enjoyed. I love the Turkish wild rice, bulgur, eggplants, zucchini, beans,…! Even in a small bistro you can find tasty meals. 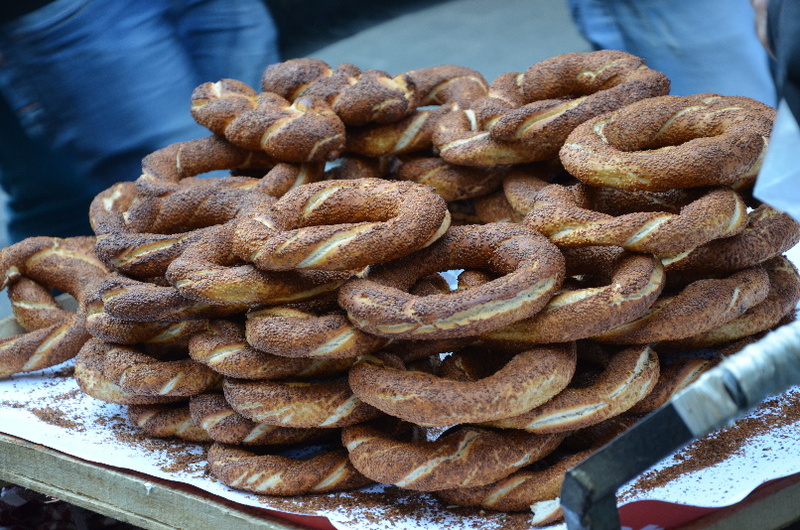 You can also find good snacks in the streets – from the famous gyros to roasted chestnuts or Simit (kind of a donut with sesame). Turkish breakfast is mainly salty, bread is neutral or salty (forget croissants!) with cheese, salami and vegetables. You can also have eggs or sausages. If you still prefer sweet breakfasts, then go for the jam (but to my opinion, it is too sweet and fluid) or honey. As for drinks, coffee and black tea is served everywhere. 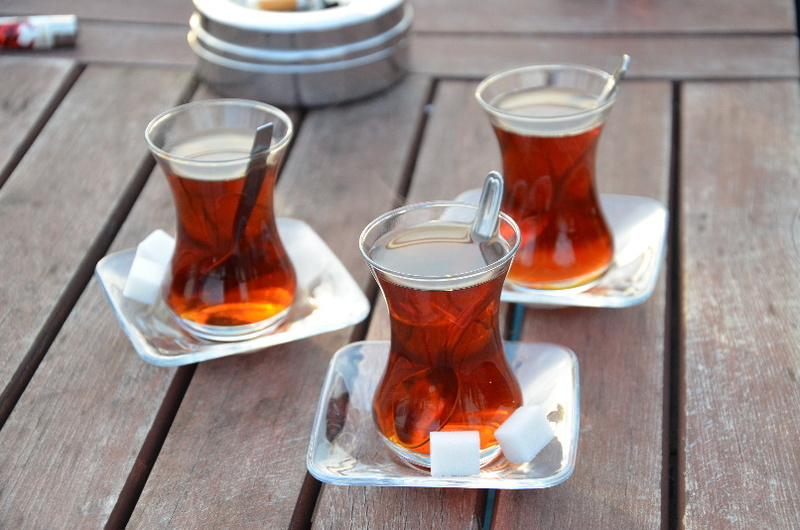 The Turkish tea is served in special glasses of pear shape. You can get freshly made juice on the street – usually from oranges, grapefruits and grenades. 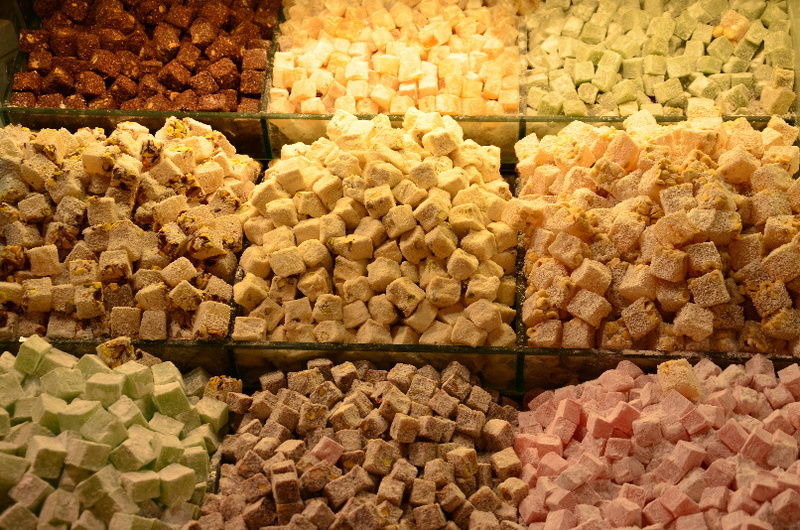 Famous Turkish delight is loukum, a jelly cube which is in fact a confection made from starch and sugar and you can choose from several flavors (pistachio, nuts, almonds etc.). 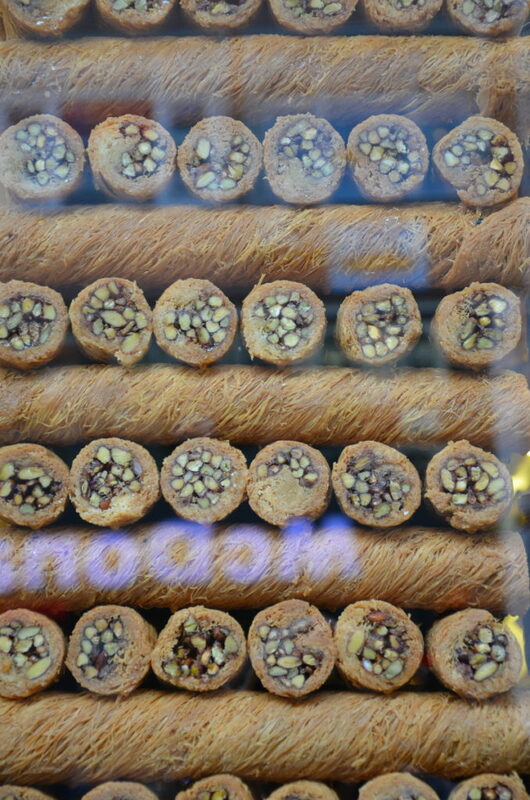 Another famous dessert is baklawa, which is made from filo pastry, sweet syrup and nuts – you might know this one from other Balkan countries. 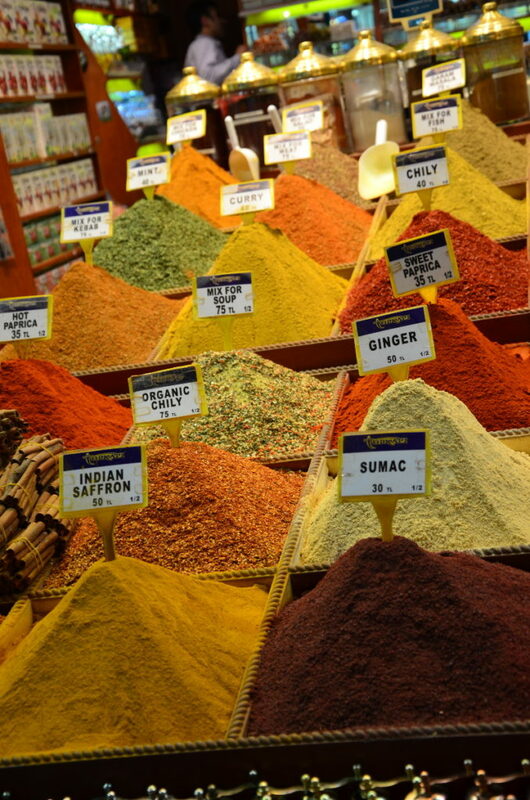 I can recommend one very good restaurant, especially when you are in a group of friends and you want to try something typical – the place is called Tarihi Cumhuriyet Meyhanesi and is situated in the quarter of Beyoglu. They serve delicious food – something like Turkish tapas. Istanbul, known also as Constantinople is a historically rich place and a point of contact of two cultures: Western and Eastern. 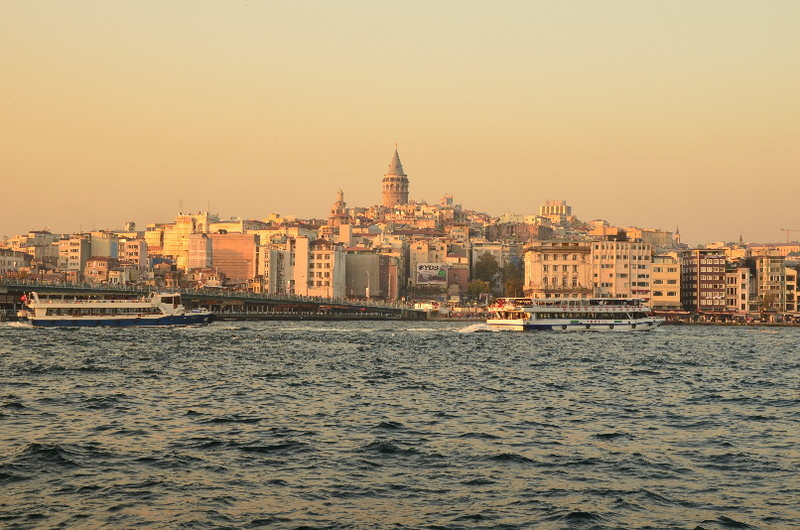 An agglomeration of 13 million of inhabitants lies half on the European and another half on the Asian continent and it is the largest city in Turkey. 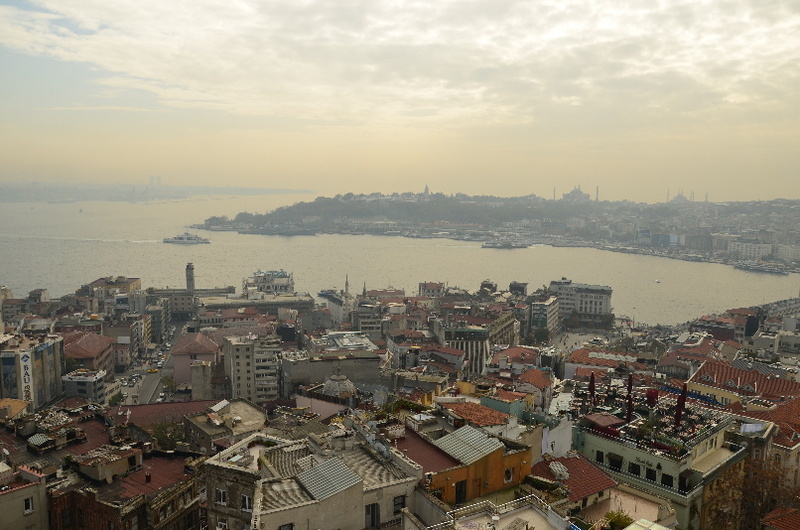 The two parts of the city are separated by the Bosporus strait that connects the Sea of Marmara with the Black Sea. 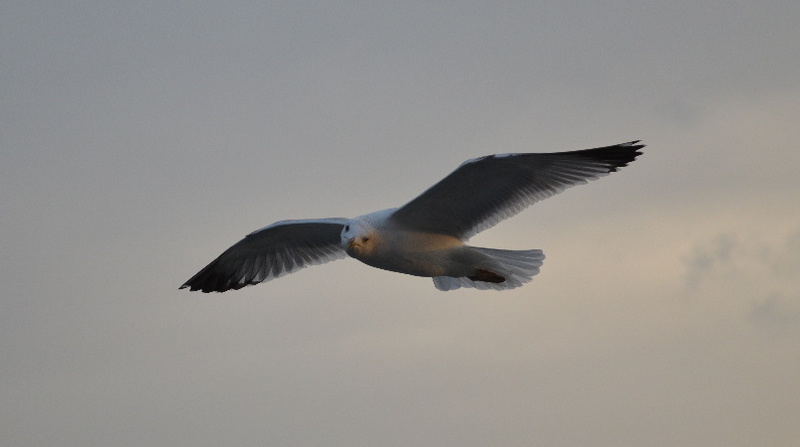 The majority of sights are situated in the European part. 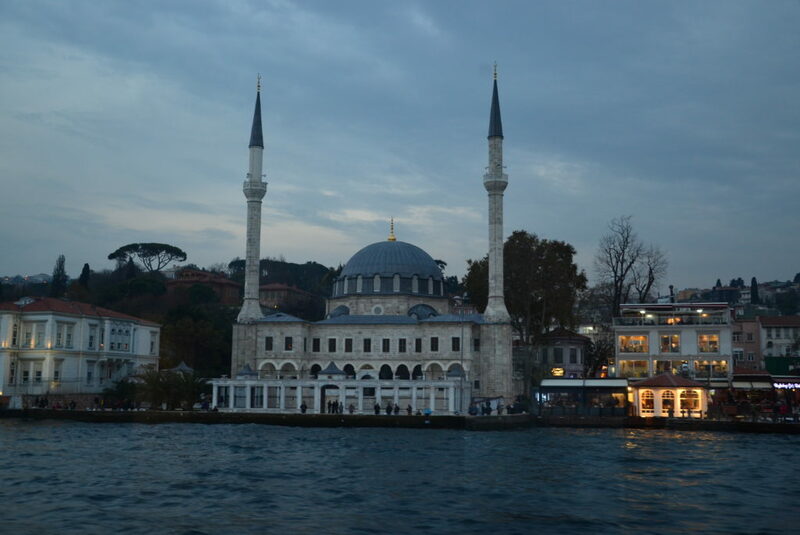 This beautiful mosque from the 17th century was inspired by Aya Sofya, but is a bit smaller and more modern. It has got 6 minarets (the standard is 4!) 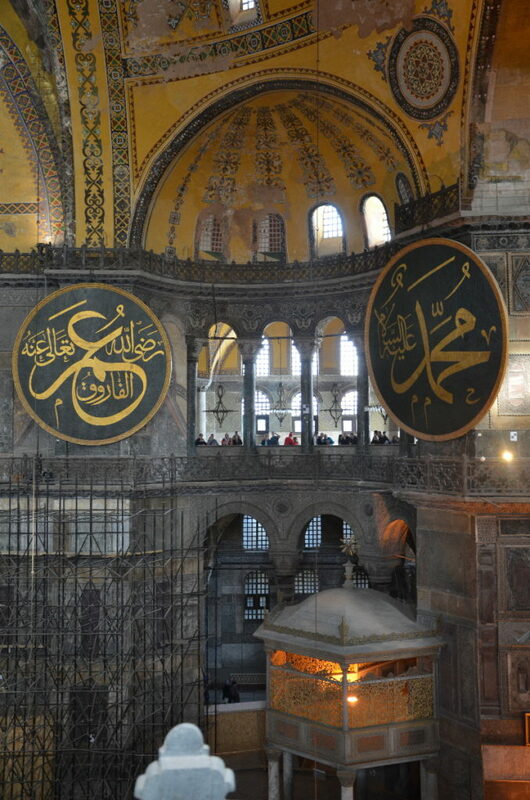 and is one of the most famous mosques of the Muslim world. 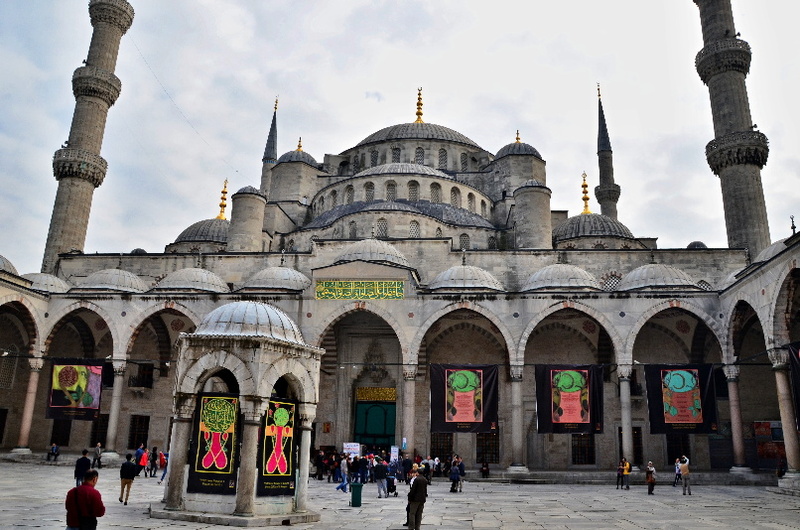 Unlike the Sofya, it serves still as a mosque. The interior is extremely light thanks to 260 windows and it is here where you finally understand why it is called “Blue Mosque”. The mosque is closed on Friday morning. There is no entry fee. The entrance is from the back side and the queue goes quickly. Women must cover head and shoulders with a scarf and everybody must take off the shoes. Unless you want to pray, be careful not to enter the places reserved for praying. 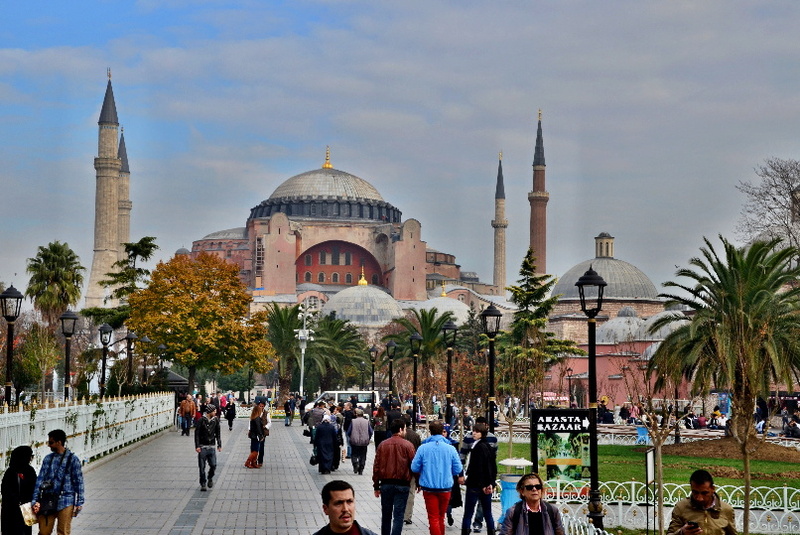 Few steps from the Blue Mosque you can see the Byzantine masterpiece, a temple from the 6th century. It served 916 years as an orthodox church, after the arrival of Turks as a mosque and nowadays it is a museum where you can admire the mix of Christian and Muslim elements. 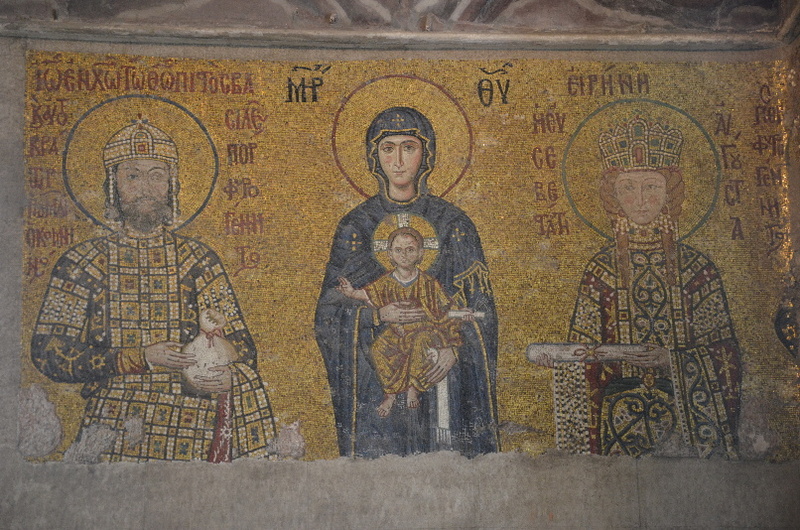 The interior is decorated with golden mosaic covering 16 000 m² and the dome is the second largest one in the world after the Pantheon in Rome. 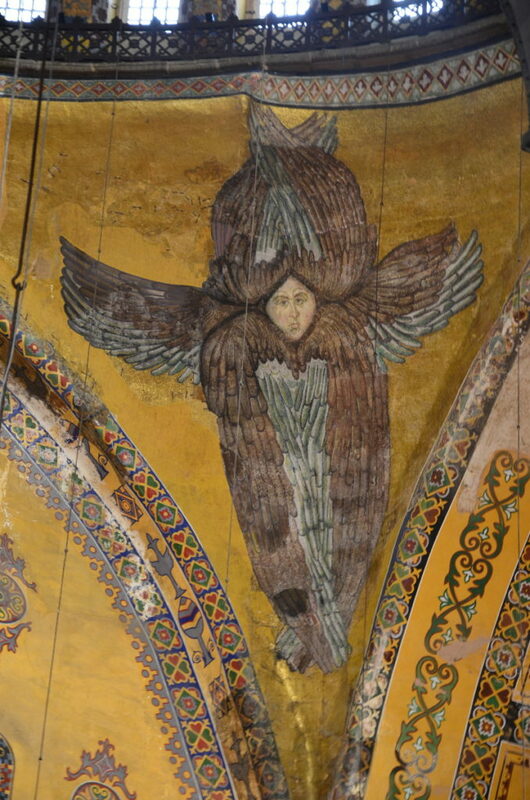 Aya Sofya is closed on Monday. 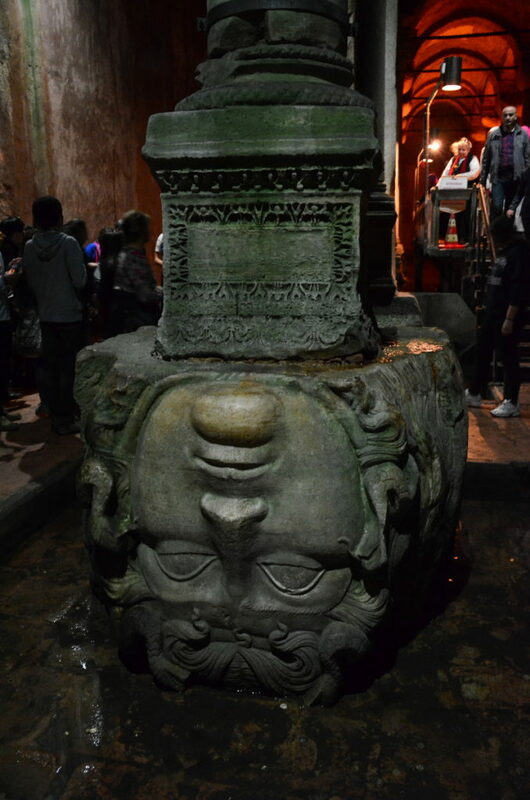 This underground labyrinth of water cistern, originally from the 4th century, is located close to Sofya. It used to supply water to the Royal Palace. 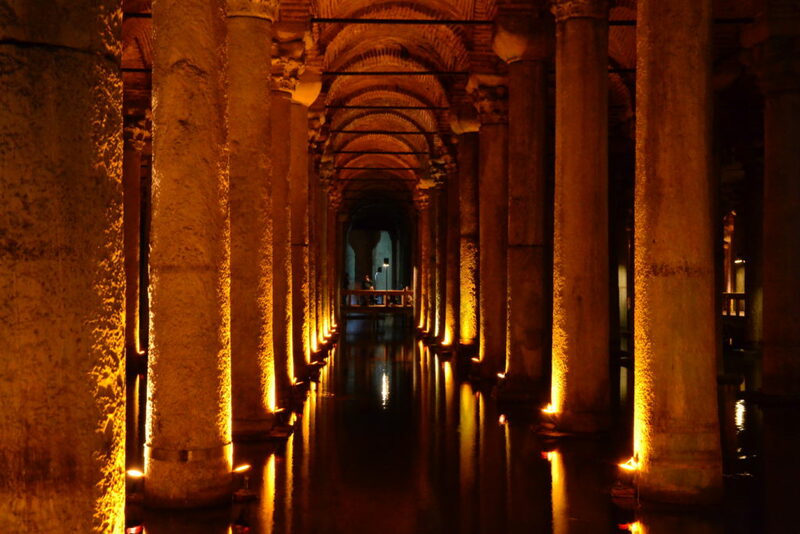 You can have a walk in this illuminated complex and admire 336 columns 8 meters high supporting the ceiling, listen to the music and watch the small fish that live in the cistern. Do not miss the stone head of Medusa at the end of the walk. The cistern should be open for visits every day. A huge covered market place where you can get ceramics, carpets or handbags. The stallholders discuss here together, drink a tea or read newspapers. 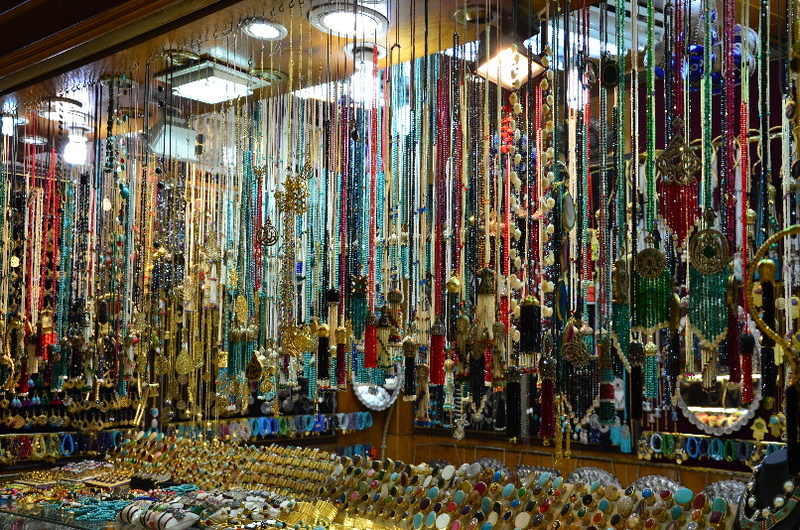 This market is located in the neighbourhood of the Grand Bazaar. 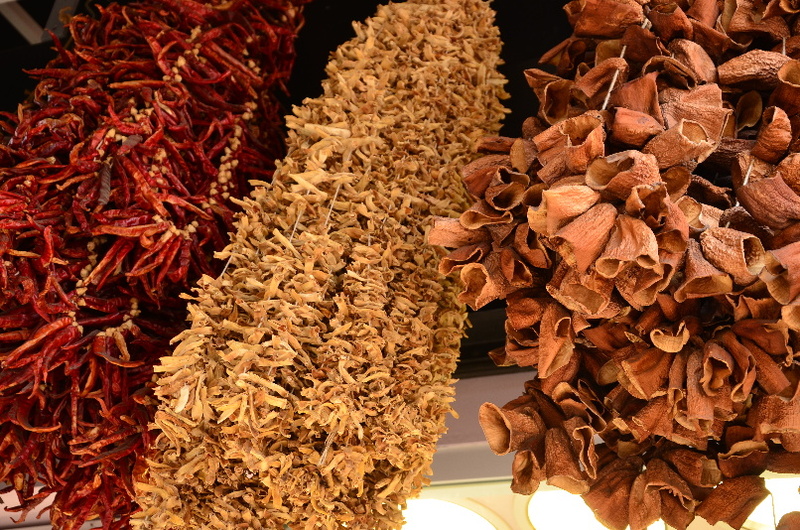 In this place, you can get spices, tea, herbs, dried fruits, nuts, loukum etc. They are expecting tourists here, so the prices are quite above the standard. 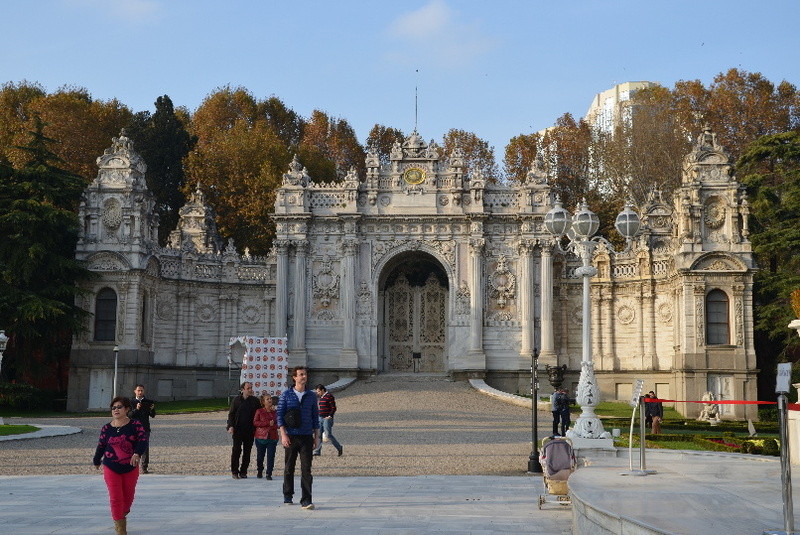 Unfortunately we didn‘t see Topkapi Palace as we arrived the last day of our stay and it was closed. 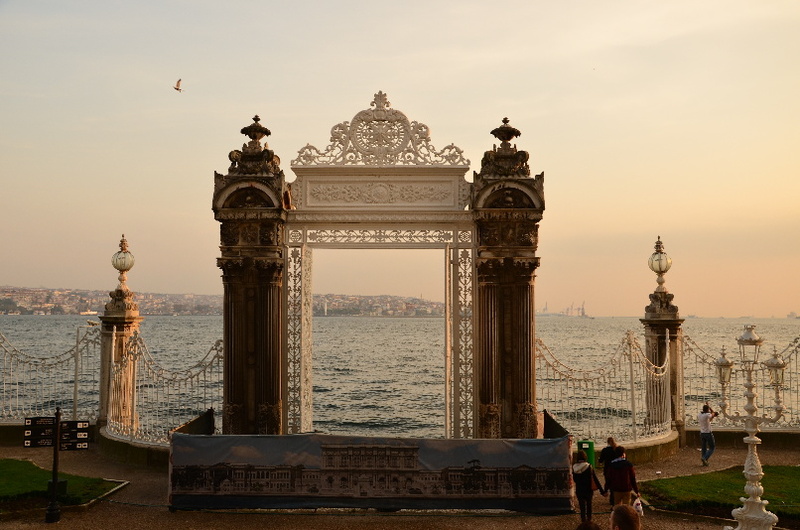 But it is one of the must see of Istanbul. Be aware that there is always a long queue, unless you arrive early morning. This is very picturesque part of the city with plenty of bars, restaurants and shops. 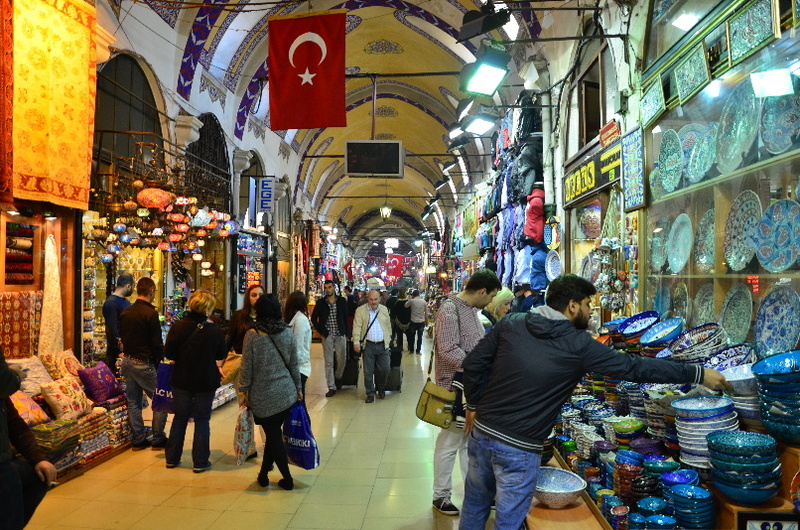 The main avenue Istikal is a paradise for shoppers, but also quite crowded, especial in the evenings – some of the shops are open till 23 p.m. But you can also find some galleries of modern art here, if you prefer some culture. 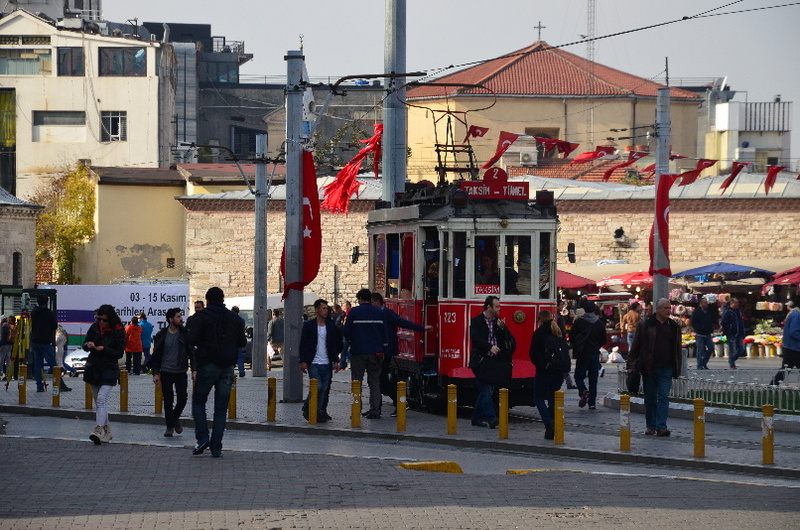 There is an old tram running on this avenue – it will bring you to the Taksim square, which is a central place for all kind of demonstrations or festivities. 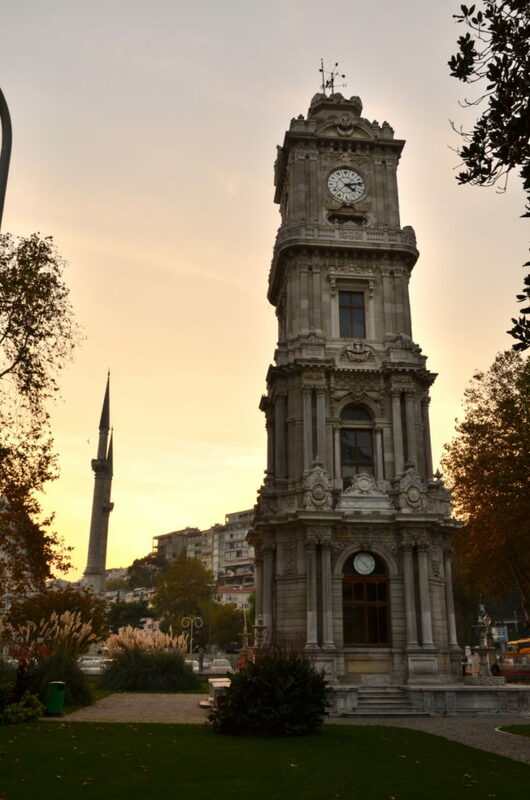 This monument from the 14th century is situated in Beyoglu quarter and it pays off to climb up (actually there is an elevator), so you will enjoy a beautiful panorama of Istanbul. 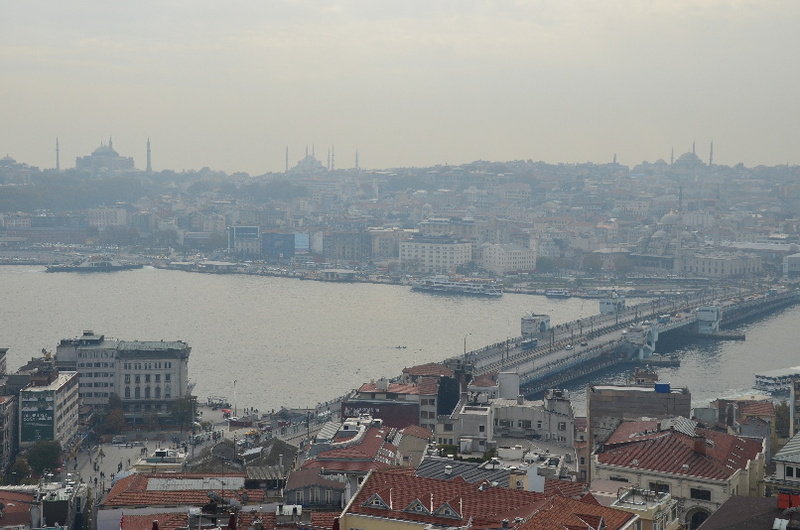 When you walk down from the Galata Tower towards the sea, you will reach the Galata Bridge from which you have one of the most panoramatic views of the Old Town. 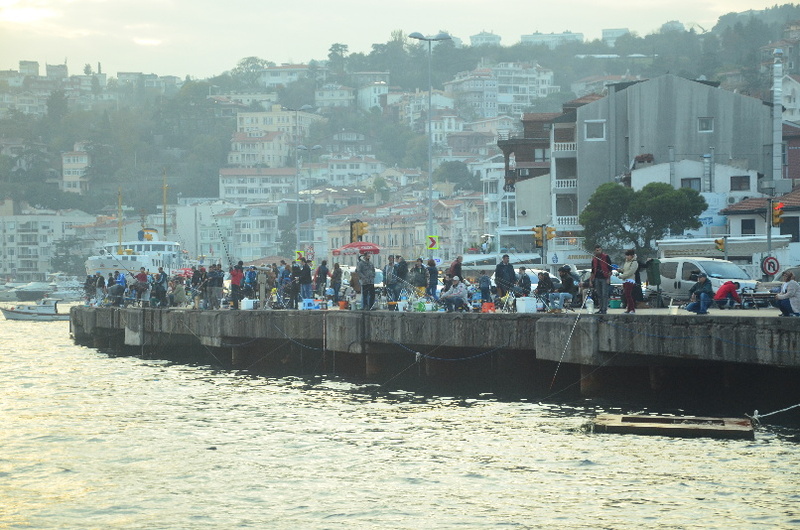 There is plenty of fishermen on the bridge and you are not far away from the Fishermen‘s Quarter called Kumkapi, where you can taste fresh fish. A bohemian part of the city that offers plenty of coffee places, antique and vintage shops, art galleries. You must stop by for a coffee here – the atmosphere is very relaxing! 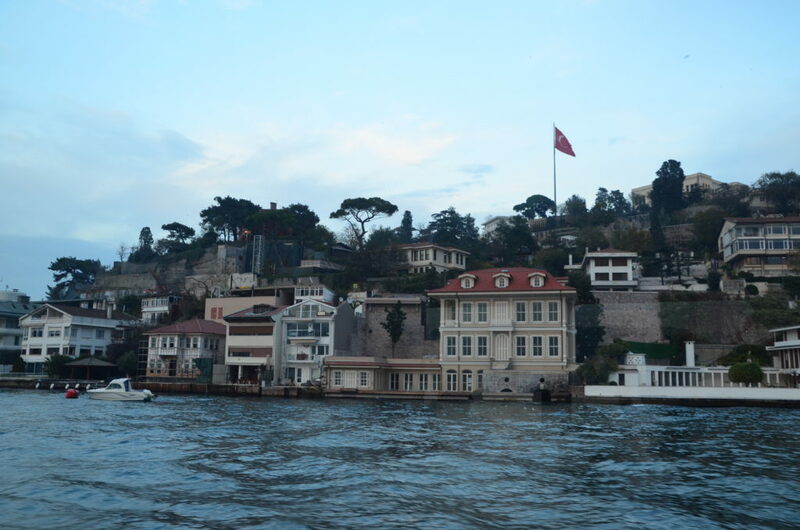 Do not miss the Bosporus cruise! 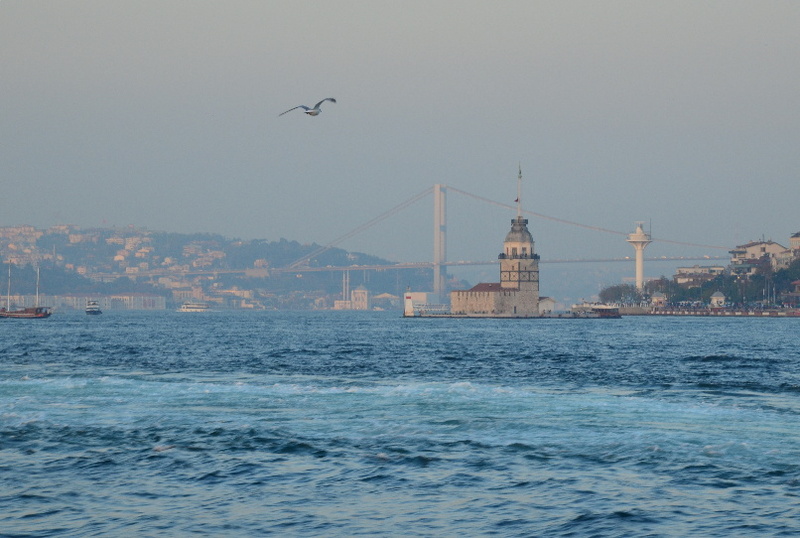 The cruise takes +/- 90 minutes and you will see Istanbul from another perspective. 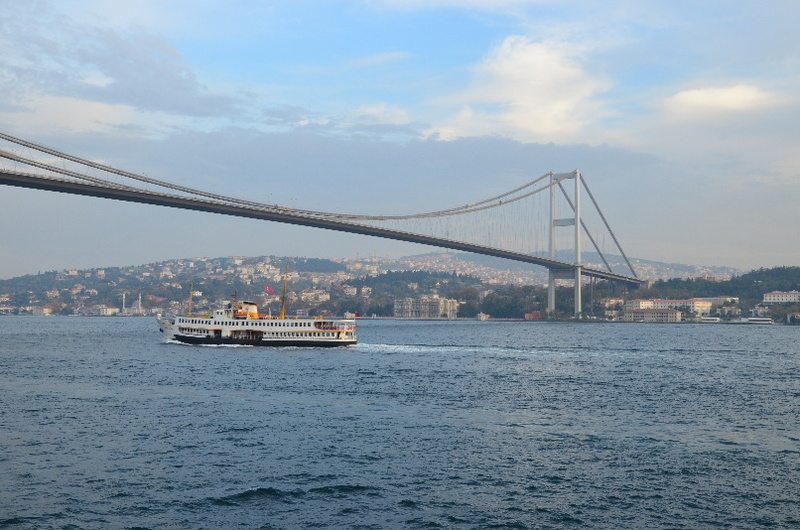 The cruises start either at Galata Bridge or in the port Eminönü. 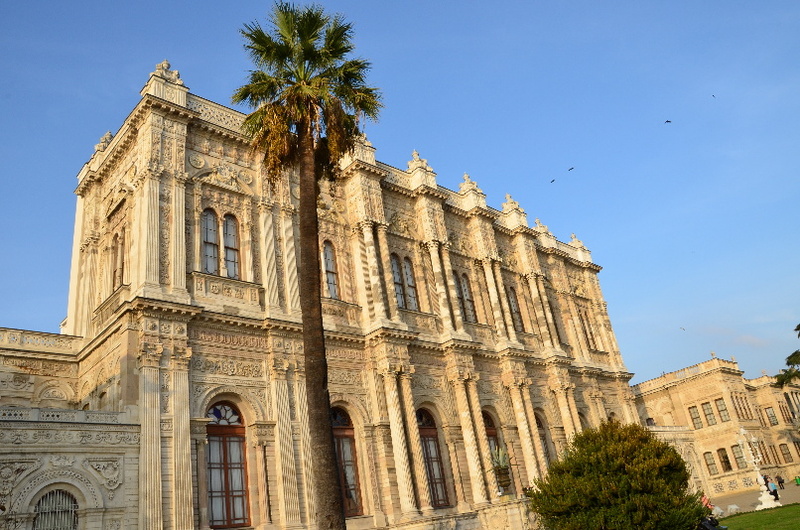 This A residence of the 6 last sultans, a palace from the 19th century. 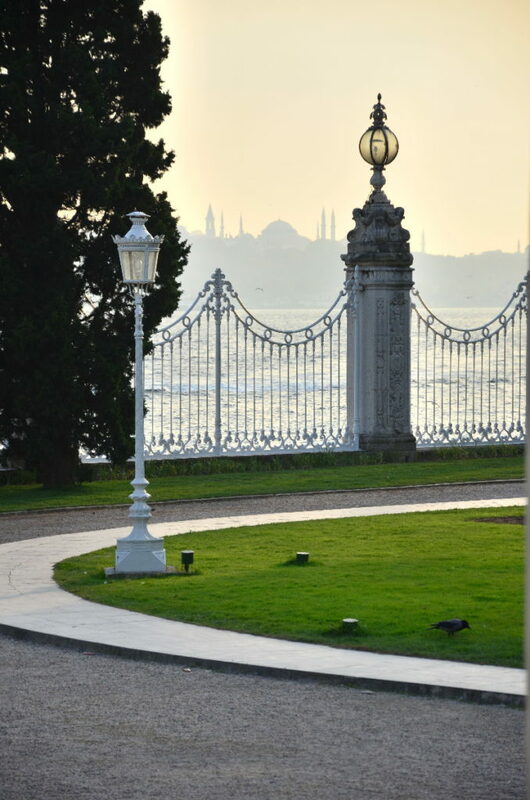 After the declaration of Turkey as a Republic, the first president Mustafa Kemal Atatürk lived and died here. 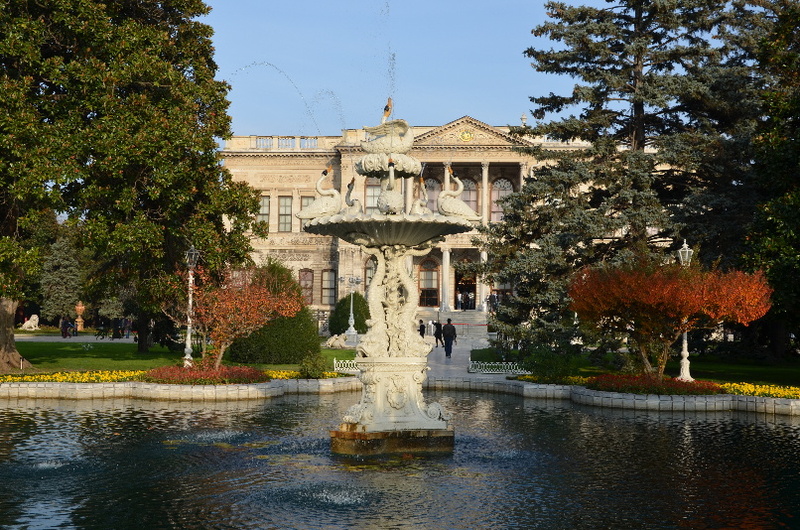 Since 1984, the Palace has been open for public as a museum of original furniture of the Ottoman Empire. There are 300 rooms where the cultural and art elements of the Ottoman traditions are mixing with the western styles – especially rococo and baroque, but also neoclassicism. 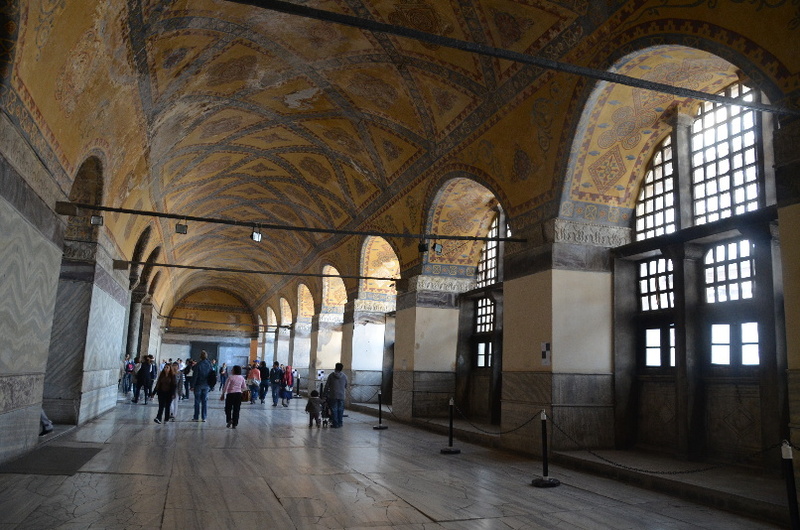 Other parts of the complex open for visit are Sultan’s Harem, Clock Museum, Clock Tower and Crystal Pavilion. The palace is closed on Monday and Thursday. The visits are guided and you’d better be here the latest around 3:30 p.m. otherwise you risk to be rejected. You can come to visit the Asian part too, but you will not see that much as in the European part. 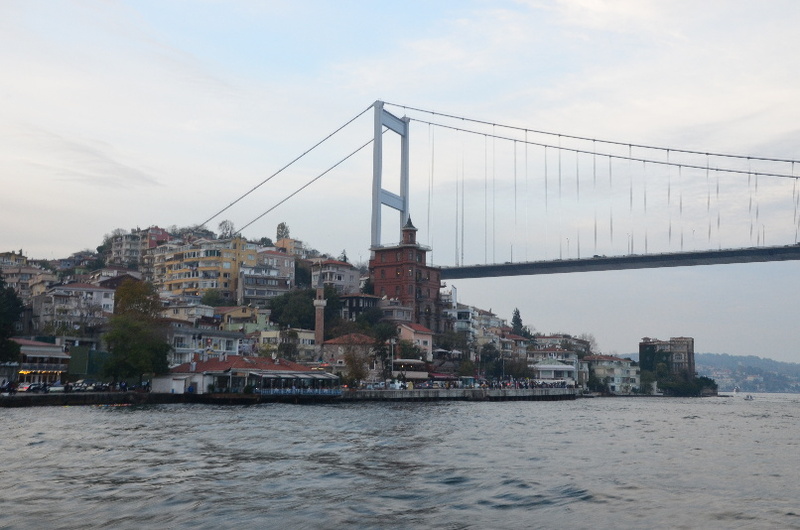 We took more than an hour to get there from Taksim square (by taxi and ferry). 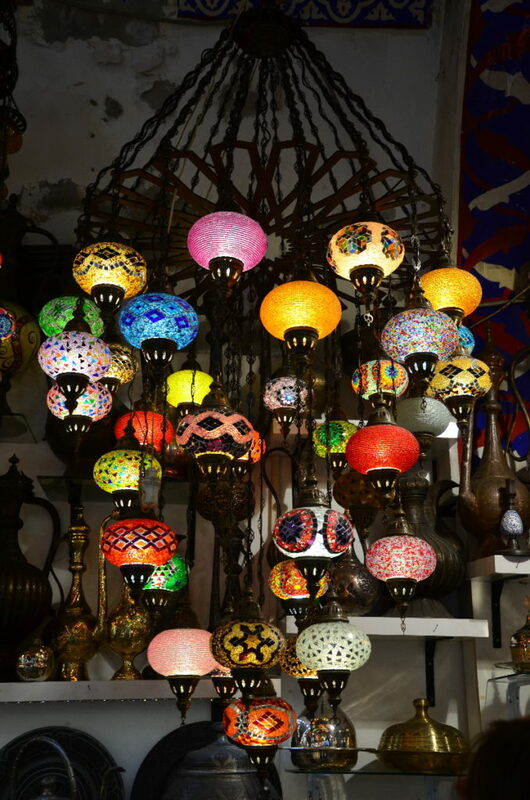 I would recommend you to visit Asian part only if you have some time left and you saw all the highlights of Istanbul. 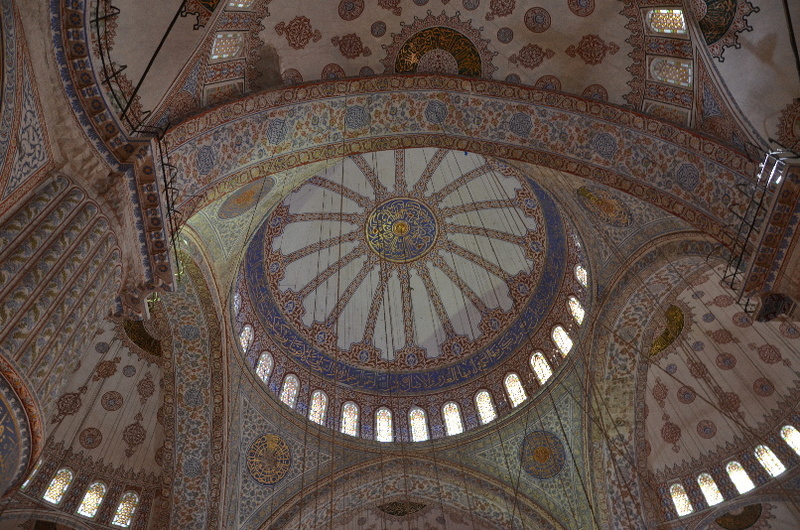 This is what we managed to see in 3 full days in Istanbul. What about you? 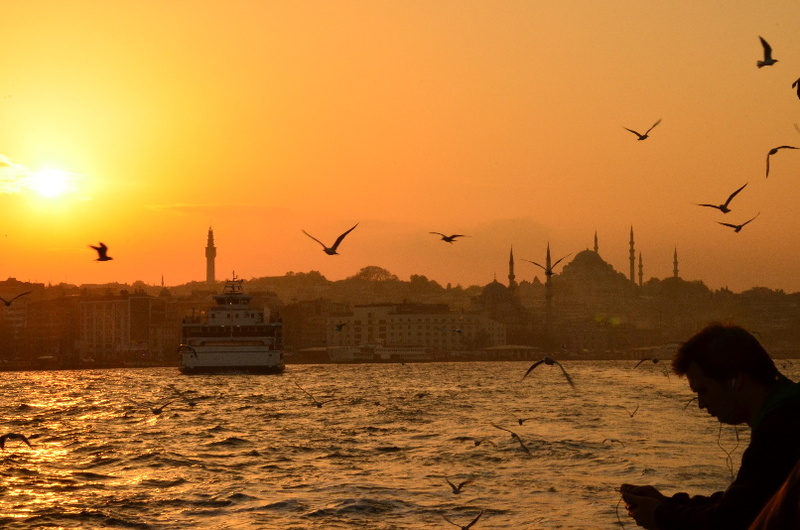 Do you feel like visiting Istanbul? Or have you already visited – if so, what did you like? Beautiful photos! 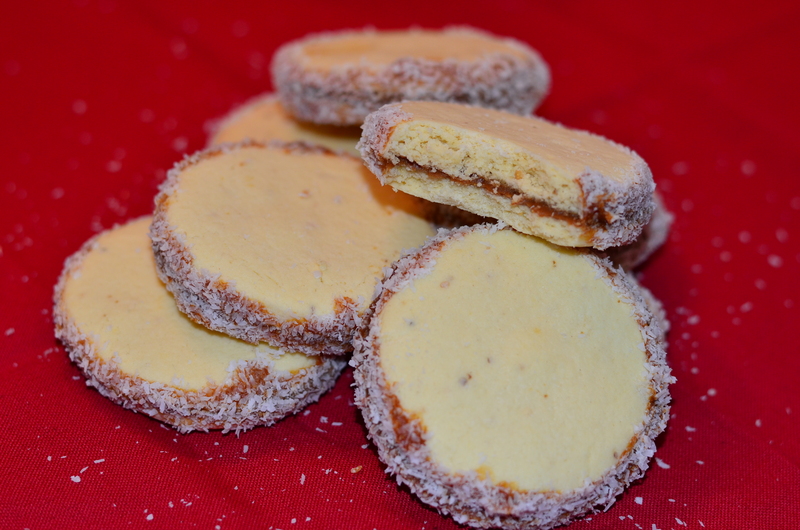 Some of the ones of food and fruit made my mouth water! I also love the photos of the palace at sunset, so pretty! Looks like you had a great time. Thank you Dominique! Yes it was definately fun! 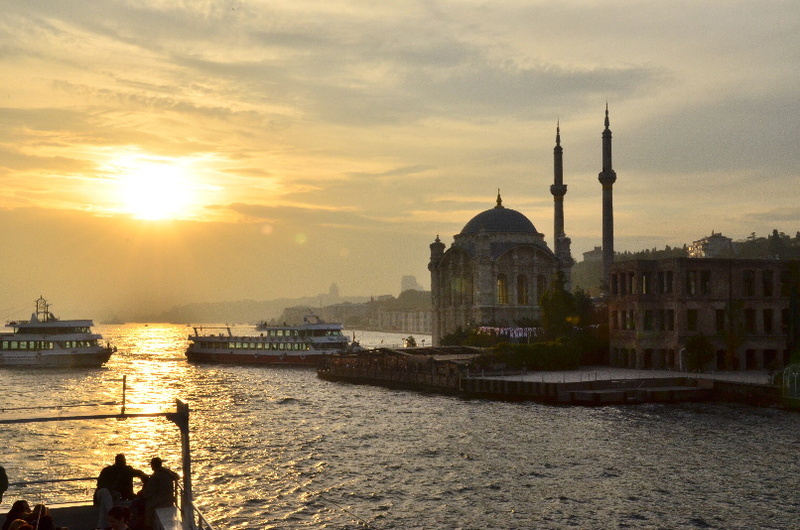 Istanbul is a fascinating city and you feel like in another world sometimes.